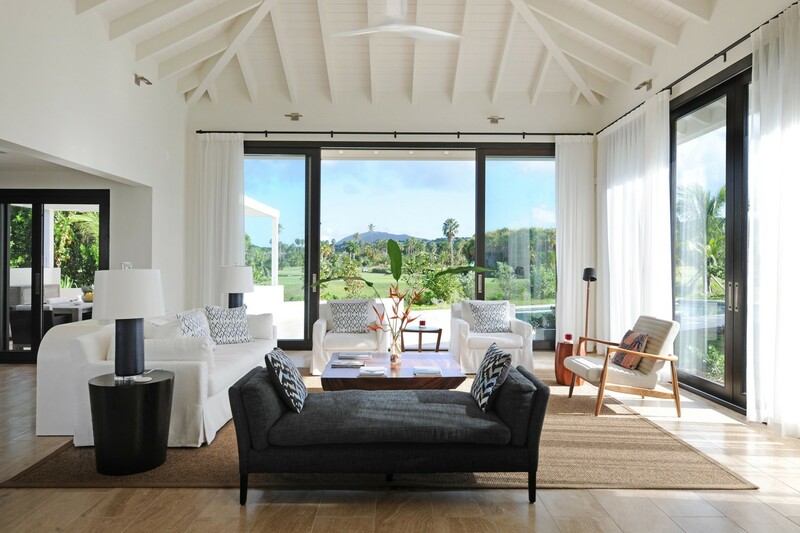 Isle Blue has the distinct privilege of featuring luxury villas and golf vacation homes at the Four Seasons resort on Nevis. Our guests enjoy the renowned services of the Four Seasons while experiencing the lavish space and privacy of your own villa. Vacations at the Four Seasons on Nevis are a transcedent experience that ensure relaxation and decompression. Set on the west coast of Nevis, the expansive Four Seasons resort features a beautiful beach, three inviting pools, tantalizing restaurants, world class golf course, spa and tennis center to complement the active lifestyle. The Spa at the Four Seasons is a beautifully designed paradise with gingerbread trimmed treatement cottages to lush Eden-like gardens and a luxurious lounge and locker room befit for prestige and comfort. Services included massages, facials, body rituals, waxing and salon services. Guests can arrange a Hatha yoga session, a traditioanl Nevisian massage or an exclusive Spa Under the Stars couples treatment reserved for only one fortunate couple that will enjoy spa services in a beautiful tropical garden setting under the stars. The 6,766 yard Robert Trent Jones III golf course at the Four Season Nevis is an 18 hole odyssey that takes golfers up into the tropical rainforest of Nevis while finishing along the sea-side holes. Traditional conveniences include a large pro shop with shoe and club rentals, driving range, practice green and professional instructors. For the tennis lover, the Four Seasons Nevis features 10 tennis courts (four red clay courts and six hard courts). The staff at four seasons arranges for weekly round-robin tournaments to play among other guests or staff. The Four Seasons Nevis is the perfect place for family vacations. Children five and under enjoy complimentary meals while the Kids For All Seasons progrmame and club offering regular child friendly entertainment from crab hunting to movie nights. Teen Clubs and babysitting services are avaiable as well. Guests staying at the Four Seasons Nevis will fly into St Kitts and be whisked away by ferry to the private dock of the Four Seasons. Our concierge service will handle all your logistics and assist in planning the ideal vacation stay at the Four Seasons Nevis. Contact us today to get started!